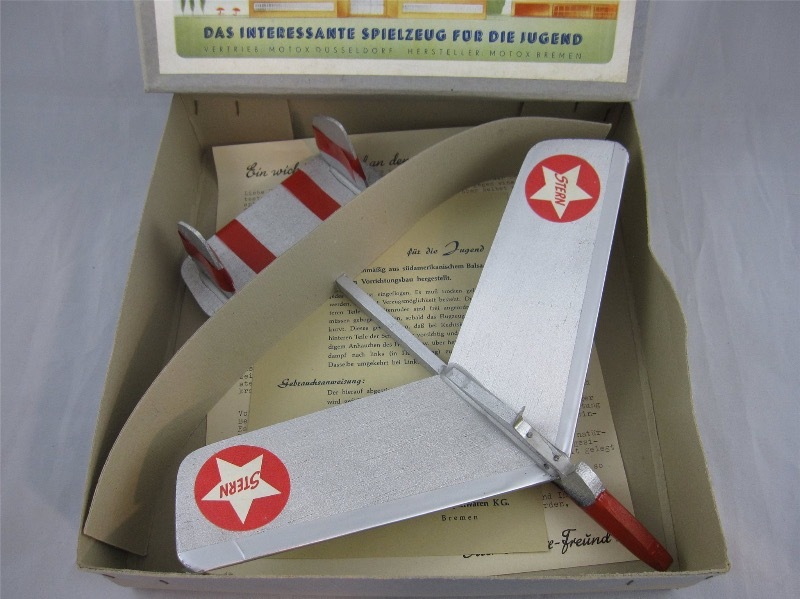 I just have to share a few pictures of a rather unusual jet model airplane. 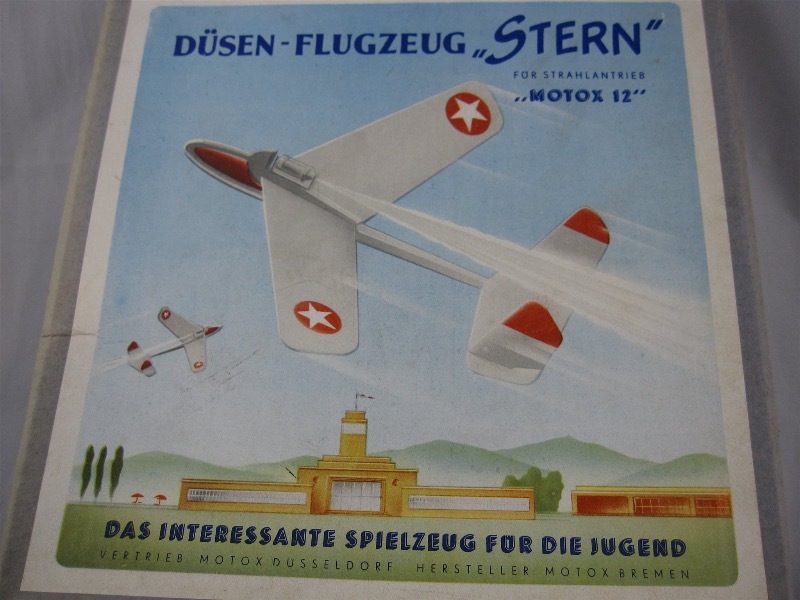 The Stern was made by the German Motox Toy Company to be used with their Motox12 motor, about the same size as Jetex 50.
this is a most unusual find! Looks in very good condition too. 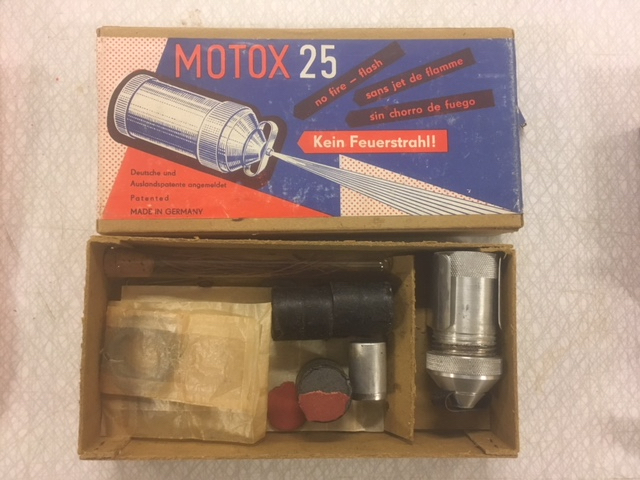 Any idea of when it was made? I will search out details of the Motox 12 motor. But you are right, it is as rare as the New Zealand 'Velojet'. We have a little about it in the Jetex Archives, but I've never seen one in the flesh. The model could of course be converted to Jetex 50, and 'cloned'. 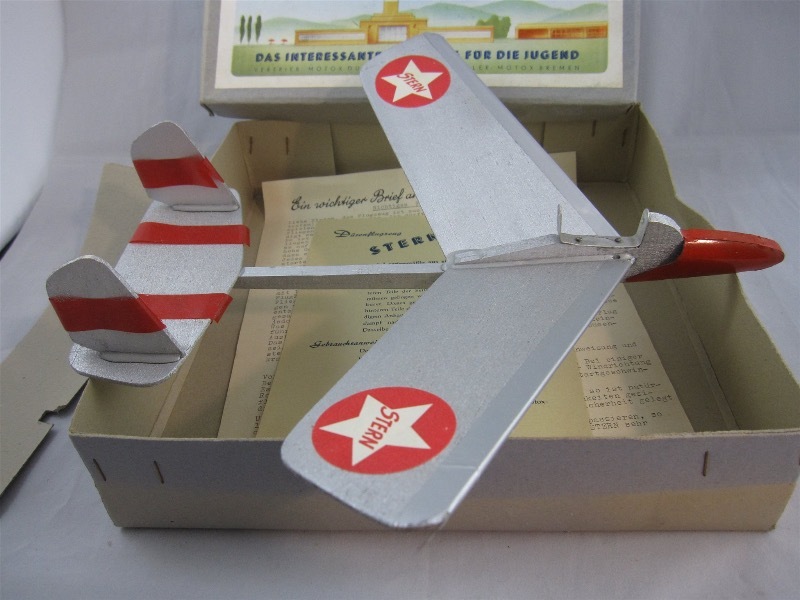 I'm assuming it's all-balsa' so reproducing the parts shouldn't be too difficult! There are no clue in the papers to the year of production, so your guess is as good as mine, but I would guess the early fifties. 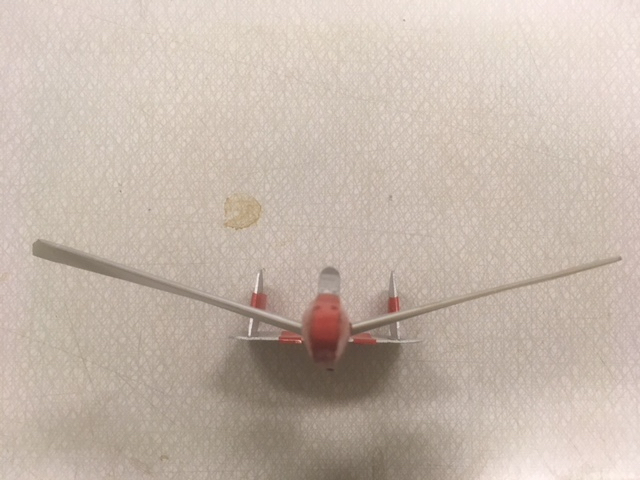 Here are a few more pictures that show the aerodynamics. 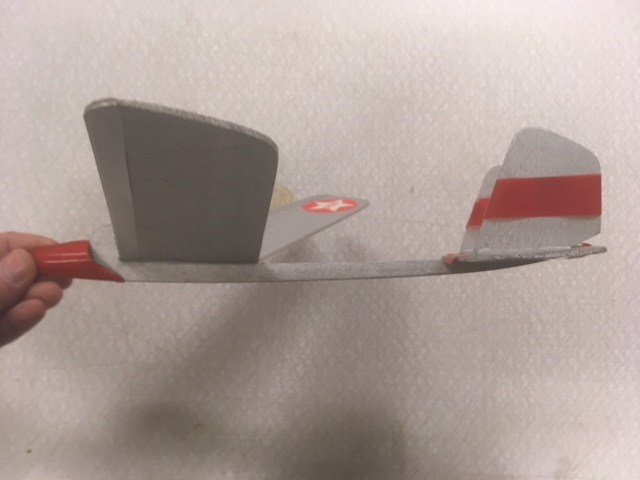 It has quite some dihedral, and both the tail and the motor have a positive angle. There are also pictures of two bigger Motox motors, the number obviously describes the inner diameter in mm. 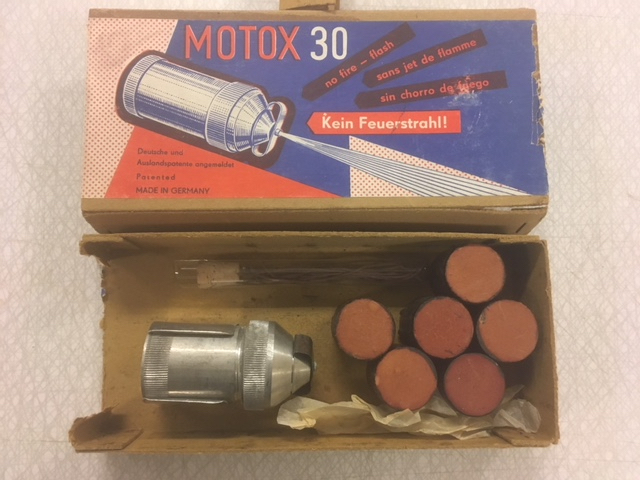 These motors have been stored at my model club for many years, but I have no idea if there are any other sizes besides 12, 25 and 30. Again, there are no clues in the documentation. Great Scott! This is marvelous stuff. We now know much more about the Motox motors than before. I had no idea there was a Motox 25 and 30! I wonder if these were equivalent to the Jetex 50 and Jetex 100. Were there any instructions with the specifications? 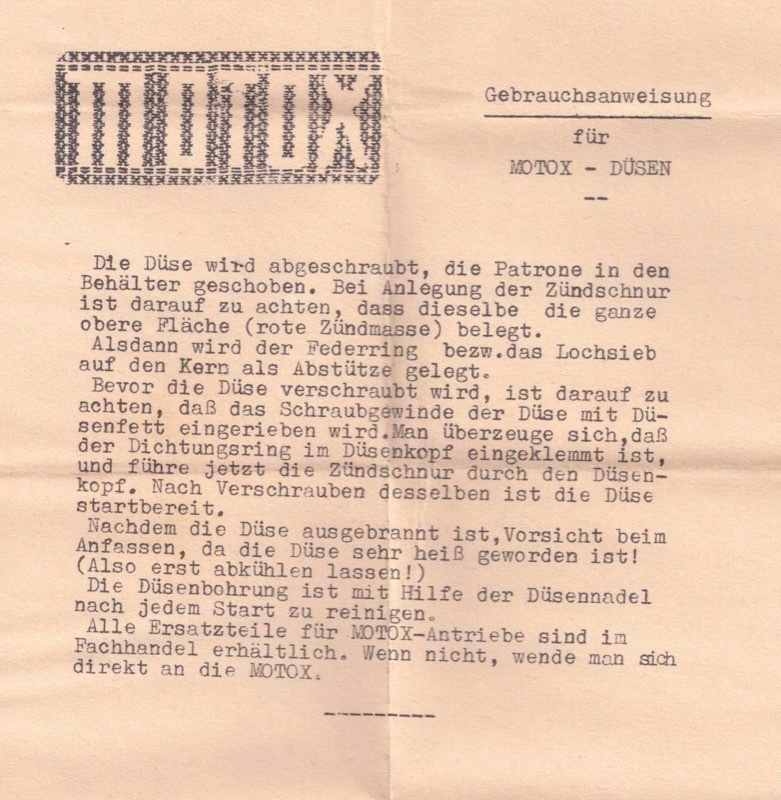 Just when you think there is nothing else to learn about 'Jetex' history something else come along! Time to begin another history-related article! Here is a scan of the original instructions sheet. As you can see it is rather short, without illustrations or specifications. I would say that the Motox 12 (ca 12mm diameter) is comparable with the Jetex 50 and the 25 and 30 with the bigger Jetex motors.